Most lots are free; one lot is $1.00 for parking. Deep in the heart of the DFW metroplex is the small town of Trophy Club. 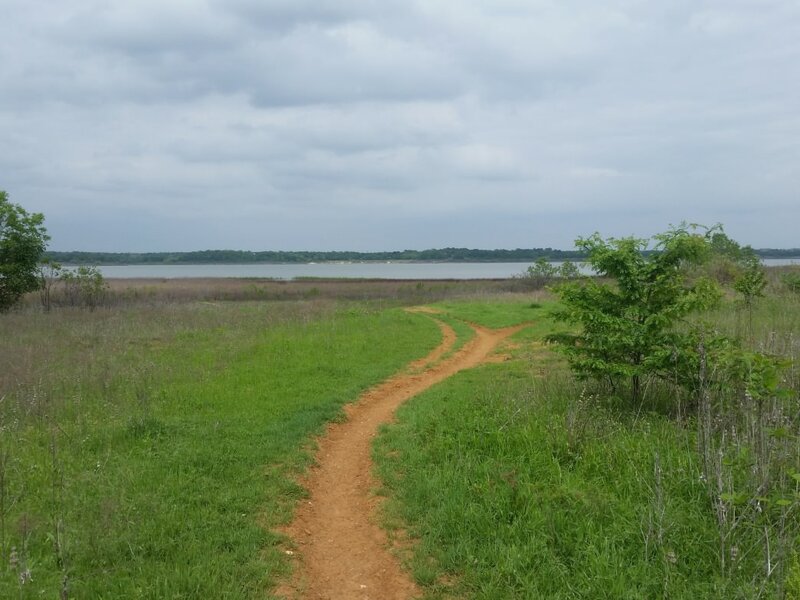 Nestled on the northwest corner of Lake Grapevine, its namesake park provides approximately 10 miles of hiking trails for the outdoor enthusiast to enjoy. 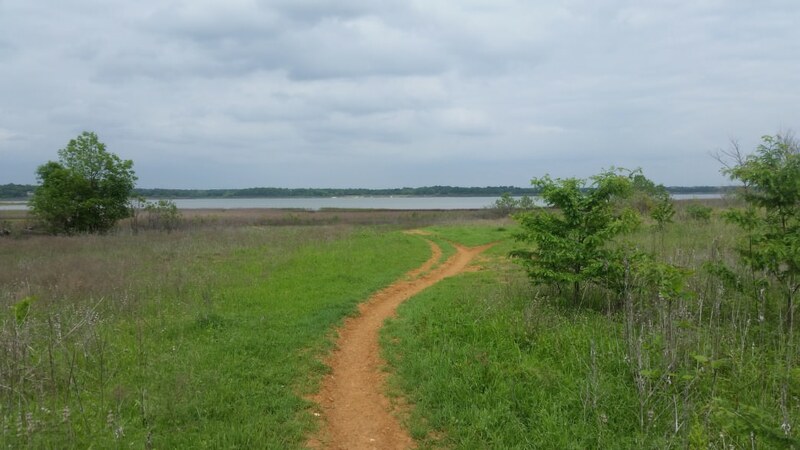 The well-known Cross Timbers forest, open prairies, and lakeside grasses are all present throughout the park and give the hiker a diverse look at the North Texas landscape. Seven trailheads are scattered at all corners of the park and provide ample access to locals from all reaches of the metroplex. With direct access to the lake at several junctions, anglers and swimmers will have ample opportunity to take advantage of the beautiful Lake Grapevine. When looking for a trailhead, the discerning hiker can be picky about what type of environment they are looking to spend their time in. From the entrance at the Marshall Creek Trailhead in the southeast of the park, you quickly plunge into deep forests of Post Oak and Blackjack Oak trees. Soft sand and dirt characterize the single track trail as it winds through the wilderness. Following Indian Creek, you’ll find a crossing near the lake with a manmade wooden bridge that takes you deeper into the western portion of the park. This is the most remote and serene areas of the park, and you’ll have a great chance to sight native birds in the canopies above as well as mammals near the creek looking for water. On the northern side of the park through the main entrance, you can take the ‘Fence line’ or ‘Lakeview’ trails to reach the shores of Lake Grapevine. Here you have an opportunity to continue east down the ‘Beach Trail’ where you reach an unusually white sandy beach sloping into the lake ahead. Photographers will find some of the best views of the lake from here, and can catch beautiful sunsets/sunrises unobstructed from the trees in the rest of the park. Nature lovers will rejoice when they take a hike on the various trails of Trophy Club Park. Because of the way it’s spread out, the hiker gets a feeling of being alone, no matter what time of day it is. Because of this, opportunities to spot native Red Fox, Deer, and even Bobcats is possible depending on what time of day the park is visited. Hikers beware though – Cottonmouths, Copperheads, and Rattlesnakes are commonly seen throughout the park and can be waiting for the unsuspecting on the beaten path. To reach the southern trailheads, take the Kirkwood exit to the east off of Hwy 114 until you reach T W King Blvd. Taking this road left will lead you to a few trailhead options. To reach the main entrance to the park, take the Trophy Lake Drive exit north off Hwy 114 and continue until reaching Trophy Park Drive. This road will lead directly into the park. Parking at this location is $1.00. At all other locations parking is free.